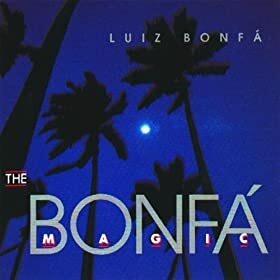 currently I'm exploring the wonderful work of Luiz Bonfa, and I'm particularly fond of his his solo stuff on classical guitar. Since he recorded so many albums with other musicians and with him playing steel-string guitar or even electric guitar, I'm wondering if some people here could help me to find more of his solo recordings where he's playing on classical guitar. I already have the 'Solo in Rio' album which I like very much and now I'm looking for more. Hence, any recommendations (album titles or song titles) would be highly appreciated. 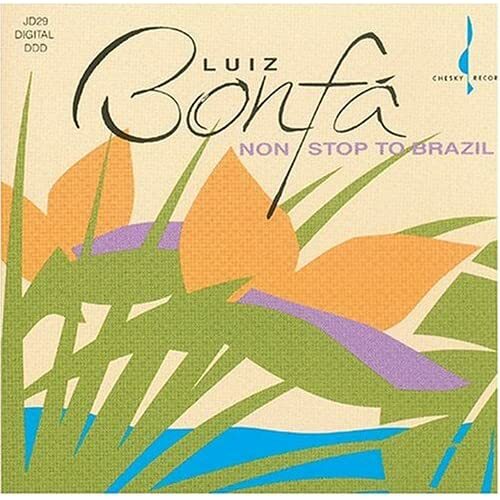 15 bonfa tunes, solo guitar, except for 3 tracks where he is joined by gene bertoncini (guitarist). café joins him on some tracks (percussion). I regret so much that no one made with Bonfa's works for solo guitar the same that Bellinatti made with Garoto. Bonfa's solo guitar works are amazingly good, but hence there is no score avaible, no one plays them. other than the tunes from 'the movie', gentle rain, menina flor, few others, bonfa's songs seem to be not available, not even as lead sheets. brasmus doesn't have anything at all. the great songbook series from lumiar overlooked bonfa completely, which is incomprehensible to me (especially considering some of the songwriters who did 'merit' their own volume).